Essential plot rundown: A shipwrecked man ends up on Dr. Moreau's island, where some crazy experiments are going down. So, this is based on the novel by HG wells, but only with a much cooler name. So, I was kind of worried about watching this movie. While considered classics, some of these films (such as King Kong) age better than others (like the The Wolfman). 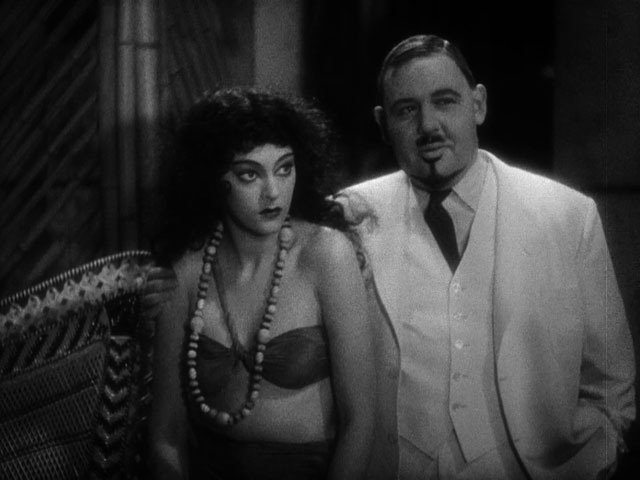 But, luckily, Island of Lost Souls is still a great watch even 80 years later. For the most part, the movie has aged well; however, there were a few things that didn't. But, they were small things that didn't detract from the movie: a couple of scenes or lines of dialogue. Instead, they just added some campy fun. However, I was kind of surprised at how creepy it was. It is not super creepy by today's standards; but considering its age, there were a few parts that gave me the chills, most notably the "giving of the law" scenes. The best part of the movie, however, were the performances by Stanley Fields and Charles Laughton. Fields has a minor role as Captain Davies, but he is sure fun to watch. He's a really funny character, with lines like "Now men, stay sober! Any drinkin' to be done, I'll do it myself." His lighthearted performance provides a nice contrast to that done by Laughton as Dr. Moreau. Dr. Moreau is one disturbing guy. Laughton plays the character with subtlety, a bit of insanity and a dash of creepiness. It's not enough to make you say "Ok, he's definitely a wacko" but it will put you on edge. Actually, if they had two other actings, giving lesser performances in these roles, I don't think I would have liked the movie. 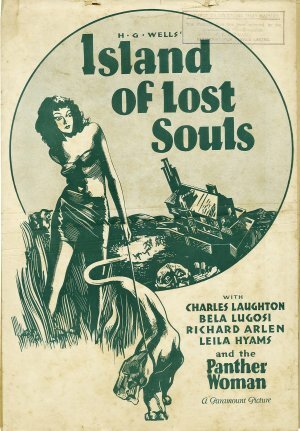 So, overall, Island of Lost Souls is worth checking out. It's a classic that's still enjoyable to watch. And with a running time of just over an hour, it makes for a nice, quick watch.